Hey All! I am back from Bonnaroo woohoooo (ok actually I’m not all that “woohoo” to no longer be at Bonnaroo because it was AMAZING). I am preparing blog updates for you all that will appear later this week. I wanted to get them ready for today but yesterday’s journey from Manchester began at 7:45 am and I walked in the door of my apartment at 11:45 pm. Needless to say, it took all the energy I had left to burn all my clothes put my dirty clothes in the laundry, snuggle my kitty, and pass out in my bed. 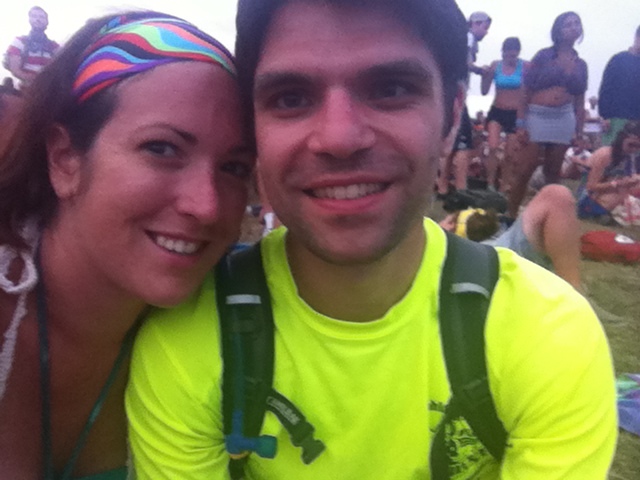 Preview of Bonnaroo posts to come…. here’s a picture of me and Mike on the lawn during the Santigold show.